ViewRanger, a pioneer in navigation and augmented reality technology for outdoor enthusiasts, today earned the prestigious Android Excellence award from Google Play. The award recognises a small hand-picked group of the highest quality apps and games on Google Play, with a strong focus on great design, engaging user experience and strong app performance. 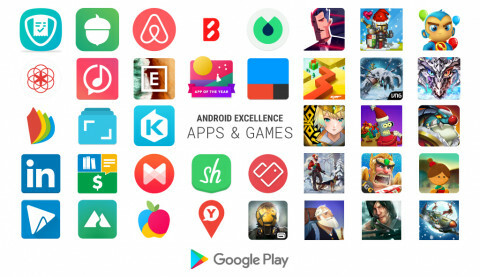 A total of 22 apps and 16 games received the Android Excellence Award this month, with ViewRanger among just three apps highlighted as Google’s top recommendations for January 2018. View the full announcement here. This is the second time in less than six months ViewRanger has been honoured by Google Play, having previously received the Editors’ Choice award in August 2017. With an estimated 3.5 million apps currently available in the Google Play Store, this award is a further endorsement of the huge recent strides made by ViewRanger. The release of Skyline augmented reality in 2016 was followed by major updates to ViewRanger’s wearable apps in 2017, along with a full design refresh last summer. With millions of explorers around the world now using ViewRanger to plan, navigate, record and share their outdoor adventures, these are exciting times for the Cambridge, UK-based company. Millions of tracks and routes have been recorded in the app, and ViewRanger is used and trusted by 300 Search and Rescue teams across Europe and North America – a glowing testimony to the dedication, innovation and motivation of the ViewRanger team.